I noticed that during the GC if the game is paused, you continue to collect credits. 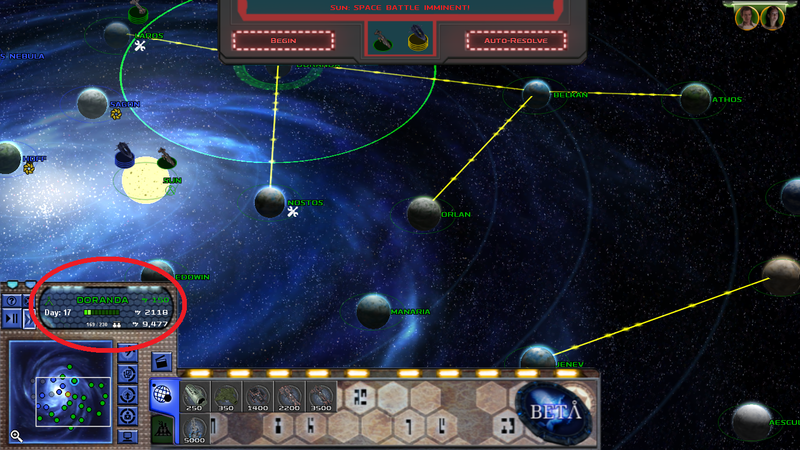 Currently, a Wraith fleet is attacking my Ancient fleet situated at the Sun. I have not clicked "begin" or "auto-resolve" instead, I'm able to just leave it while I continue to collect credits. Theoretically, I could leave it for a couple hours and come back to a huge amount of credits. The Day cycle, my ships and upgrades are all paused, so I can't build anything new. But this seems like an easy cheat to become super rich. Edit: I can even hit the "fast forward" button to speed up the amount of credits earned. Edit #2 I decided to attach some pictures to highlight this trick. I put a giant red circle, in case I wasn't clear. I'm going to leave it for a couple hours and gather up a bunch of credits so I can make it further through the GC to test other things and report further bugs. Admins, should I make a bug mega-thread, or keep posting individual threads? Letzte Änderung: 07 Okt 2018 14:57 von Col. Reynolds. This is not really a bug. The credit earnings are to show if the GC script still runs. It will be removed once we move Pegasus Prelude out of the beta phase. I'll close this topic for better overview.